Via Roma 25 - Telephone 075-8571023 to reserve. 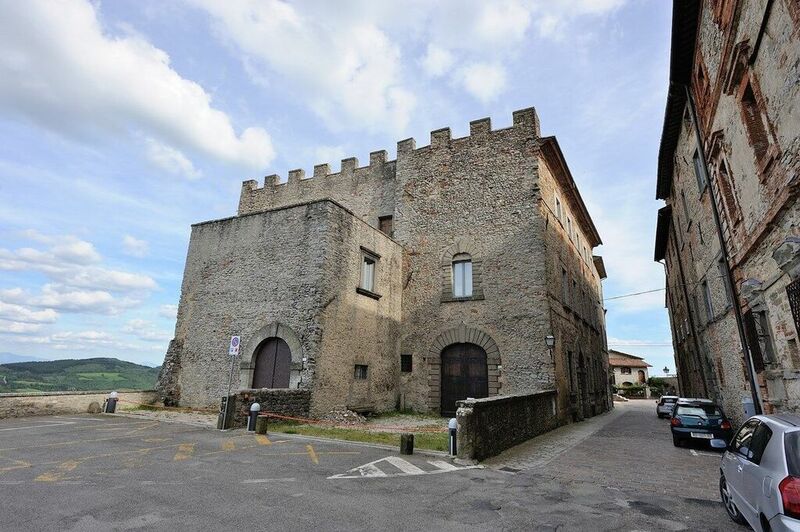 A visit to this real medieval fortress in Umbria is very special and to eat at this little restaurant in the clouds is a privilege. The terrace offers some of the best views in Italy and both the food and service are faultless. The dishes are all delicious, especially the Chicche al Tartufo, a sort of tortellini with a local truffle sauce. You will also find local truffles in the Antipasti and some other dishes, so if you have never tried them before, this is the place to do it. Our advice is to try to pick a time when there aren't too many tourists around and you have the small town to yourself. It will be a memory you will never forget. Localita Gioiello 74 - Telephone 075-8526022 to reserve. The restaurant is housed inside a beautiful flat stone cottage. It is a tiny (but perfectly formed) restaurant and space is limited to it is a good idea to book early. In the summer, book a table outside to enjoy the views. We thoroughly recommend the pizza! They are huge, perfectly presented and very, very tasty. This is a gem of a restaurant that we return to again and again. 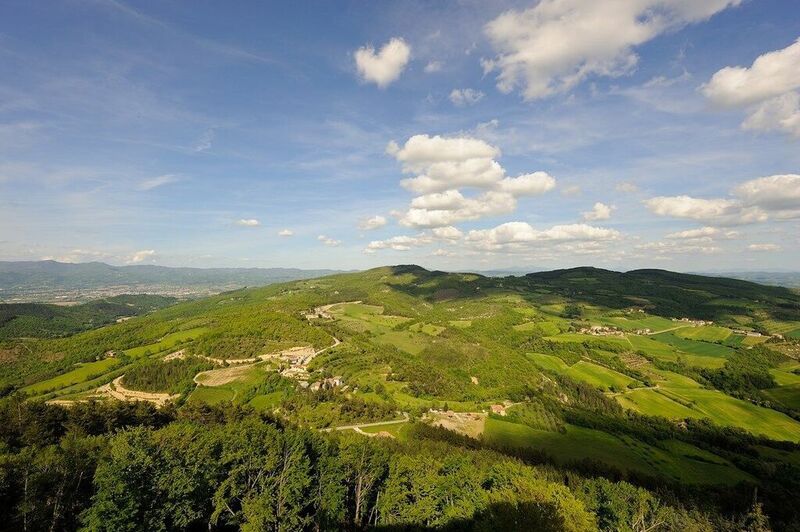 If you like the sound of the beautiful views, interesting flora and fauna, and amazing cuisine, then you should take a look at our 4-star holiday villa called Il Serrone. 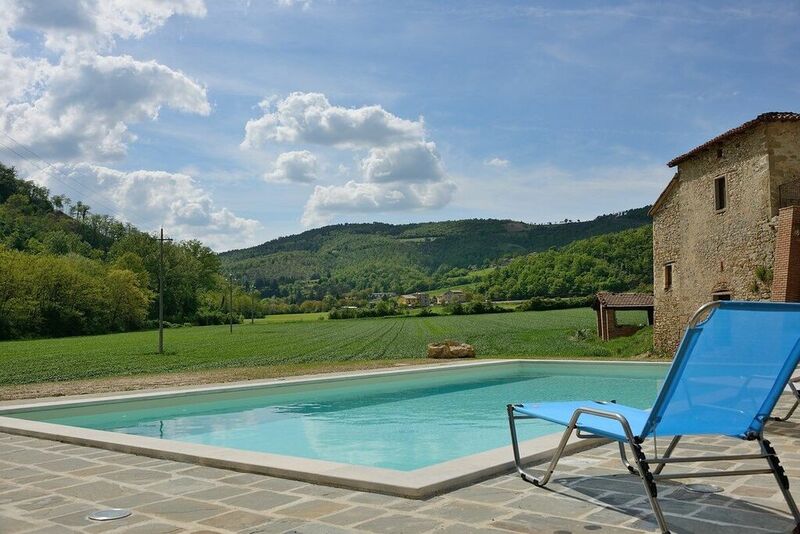 Just a few kilometers away from the little town of Monte Santa Maria Tiberina, Il Serrone is classic Italian holiday home in tranquil, unspoilt countryside on the border with Tuscany.